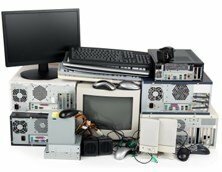 The presence of All Green Electronics Recycling in Lodi, California is a big help to those who want to recycle, reuse, remarket and even donate their EOL IT equipment. Let us help you with our IT Asset Disposition, Data Security and Hard Drive Shredding, and Equipment Destruction Services. A certified e-waste recycling company named All Green Electronics Recycling is now in Lodi, California. Disposing of your old IT equipment is now made easy, convenient, and efficient by All Green Recycling. A secure Data Destruction service is what you need when it comes to protecting your business operation. Destroying defective, recalled, and obsolete IT equipment is an approach to secure your business from risks. A premium-class e-waste recycling solution provider is now available in Lodi, California. This is All Green Electronics Recycling. We’re expert in providing top-notch Electronics Recycling Lodi Services, which are designed to purposely help the residents and business people here recycle, reuse, and remarket their old desktops, laptops, cellular phones, printers, TV sets, among other EOL IT equipment. Our services are focused on ease and convenience. You can have peace of mind with us. Lodi is a city located in San Joaquin County with 62,134 residents. It is a center for wine production, sometimes called the “Zinfandel Capital of the World.” It is also home to several museums, a theater, and an annual grape festival. Starting today, you can help in keeping this city clean and e-waste free. How? Schedule a pickup service today with All Green. Our e-waste services are tailored to help you have a convenient and risk-free approach to recycling old electronics. We will collect, process, and treat tech items in our world-class facilities located in Southern California. As we have more pickup trucks and an extensive network of recycling partners and agents, refurbishing the items, destroying the sensitive data, and remarketing the refurbished products are easy with us. To start enjoying our services, you can schedule a pickup through the link shown above. Another option for you to reach us out is to find a near All Green drop-off location. Rest assured, we will be doing our best to give you peace of mind. The locations found in the map above are where our convenient electronic waste recycling services are available. You can choose now one of the services listed below. Want to know more details about our services? Please feel free to contact us today.